Ringo was designed to allow fast-growing children to maintain their right postures by adjusting the height of the back plate and the depth of the seat plate step by step simultaneously. Ringo, which can be used from preschoolers to junior high school students, contains the hearts of mothers who want to keep their children in the right attitude at all times. 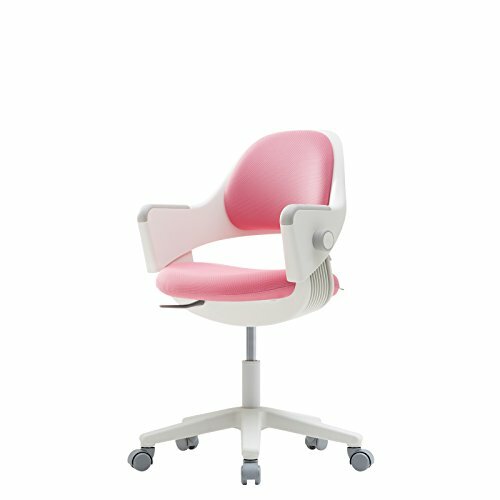 Ringo was designed to have a rounded shape with no corners to prevent injuries of children and introduced the concept of glowing for the first time in Korea, in which the back plate and the seat plate move at the same time. The back and seat plates of chairs used by children are susceptible to contamination. Designed to easily replace the back plate and seat plate at home, Sidiz Ringo can be always used for a long time always as new. The height adjustable fixed center bar enables comfortable sitting regardless of body type, and does not rotate, allowing you to concentrate on learning without movement. A fixed gas lift to increase concentration by capturing movement. / Urethane caster that minimize noise and floor scratches when moving. If you have any questions about this product by SIDIZ, contact us by completing and submitting the form below. If you are looking for a specif part number, please include it with your message. Polypropylene Classroom Stackable Chair Seat Color: Blue, Seat Height: 12"